This past summer we got a little addicted to a certain type of popsicle. In a quest to eliminate the sugar-filled summer favourite, we started testing out a few different options. One of them was this coconut milk based ice cream-style popsicle. 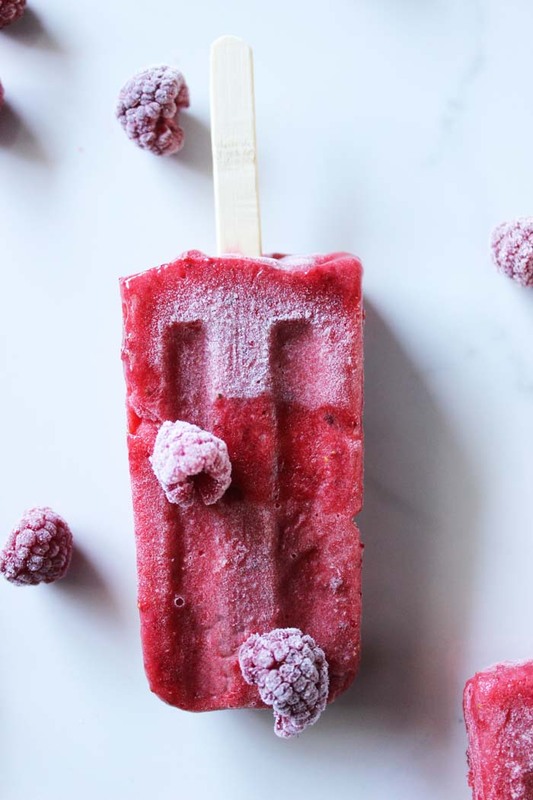 Meaning, we took our favourite Coconut Ice Cream recipe and liquified it a bit to create a popsicle version for freezing. This raspberry one was the bomb. A creamy mix of healthy fat and good for you berries and now a staple all year round! 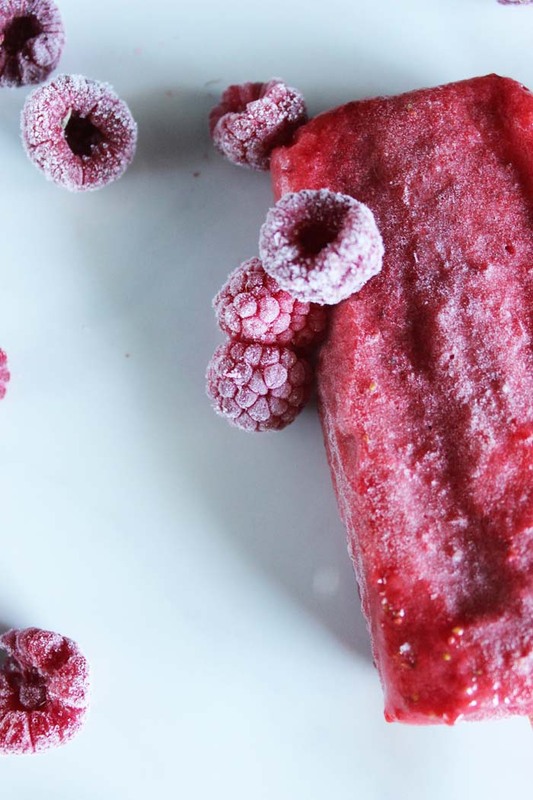 This recipe makes 6 popsicles. In the meantime, make the raspberry syrup. In a small saucepan, add both the raspberries and maple syrup. Bring to a boil, while stirring and simmer for about 4 minutes, until it starts to thicken. Remove from heat and pour mixture through a sieve, pressing out all the juices from the raspberries. Set aside to cool. Once the ice cream is nearly finished. Pour in the raspberry syrup. The ice cream will have a soft, creamy texture. 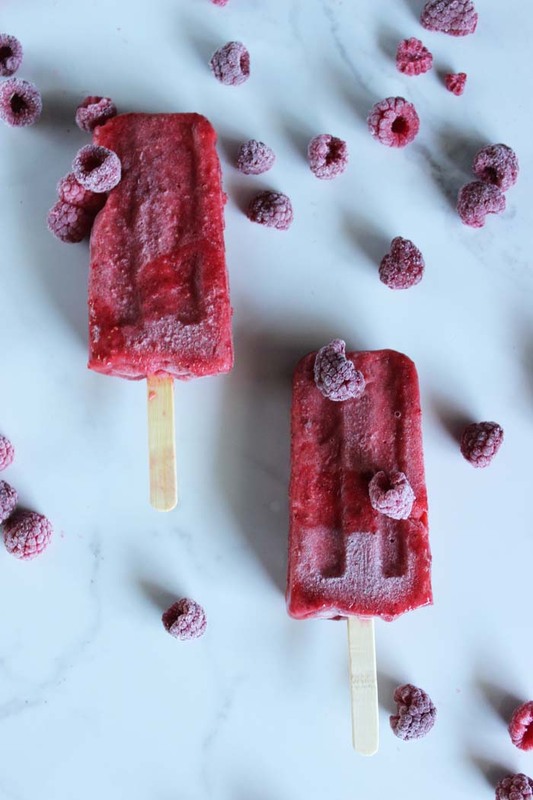 Pour into 6 individual popsicle molds. Freeze for at least 6 hours before serving.